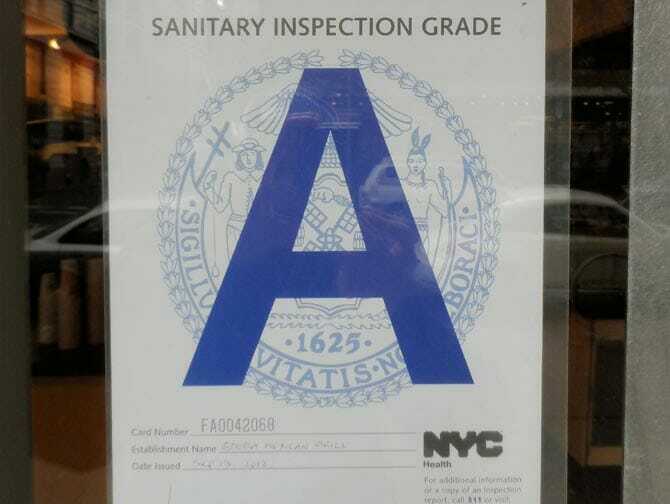 Hygiene in restaurants in New York is usually indicated by letters in restaurant windows. They can be very useful to you when you’re looking for a place to eat! 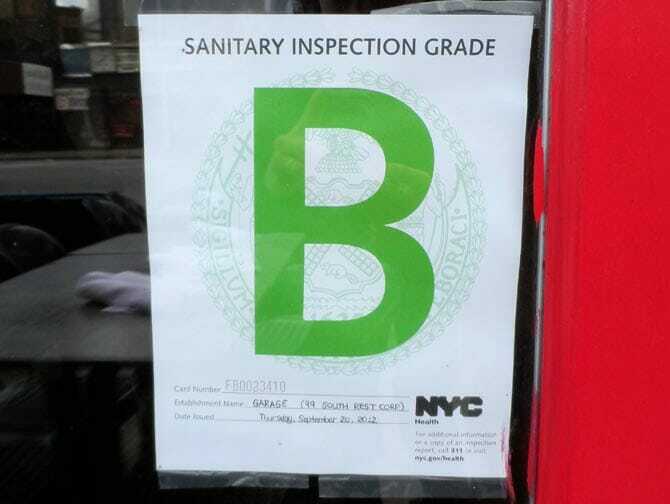 These A’s, B’s and C’s will tell you all about the sanitary conditions of a particular restaurant. For many years, it was extremely difficult to get insights about these conditions. Choosing a restaurant is of course also a matter of taste, but my guess is that you’ll be more comfortable knowing that the staff assigns great value to hygiene. 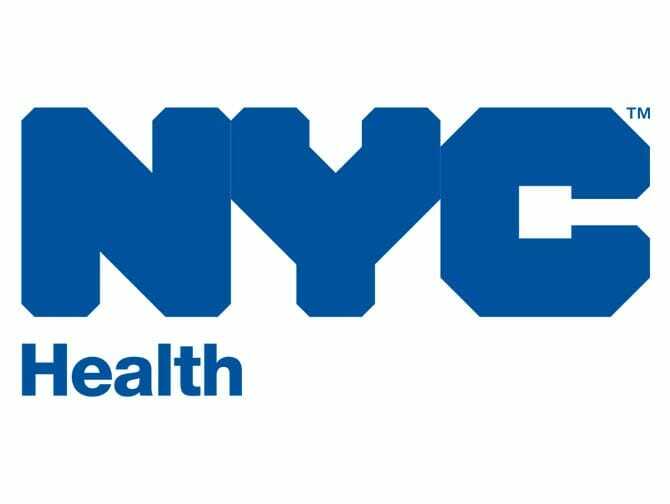 The New York City Department of Health and Mental Hygiene conducts unannounced sanitary inspections of restaurants. Every restaurant gets a score, based on the number of violations: the lower the score, the better the letter grade. In fact, the points stand for a violation of a regulation. 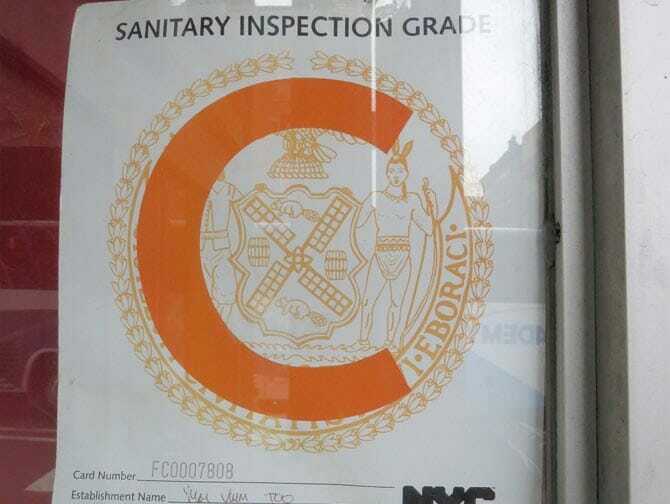 Restaurants with a score between 0 and 13 will earn an A; restaurants that score between 14 and 27 will get a B and restaurants with a score of 28 or more will receive a letter grade C. Don’t worry if you don’t see a letter grade on the window. 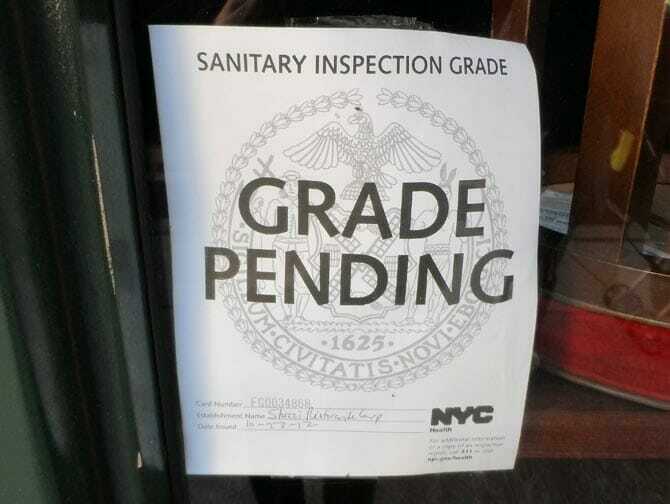 Possibly, the restaurant you’re about to visit is still up for inspection. Here you’ll find ratings of all restaurants in New York. What do Inspectors Check for? A public health hazard. For instance: not keeping food at the right temperature. This violation costs the restaurant at least seven points. If the problem can’t be solved before the end of the inspection, the restaurant might be forced to close until the problem is solved. A critical violation. For instance: serving lettuce that hasn’t been washed thoroughly. For a mistake like this, a restaurant will receive a minimum of five points. A general violation. For instance: not having properly cleaned kitchen appliances will result in two to five points. Eric’s Tip: It can be very helpful to check the letter grade of the restaurant you’re about to visit. You’ll be more sure about what to expect and less likely to get food poisoning. If possible, I’d recommend visiting only A-graded restaurants. Be careful when going to a B-graded restaurant and I’d suggest you don’t even enter a restaurant with a C in the window.